Our mission is simple: Delaware Valley Golden Retriever Rescue provides new beginnings for displaced Golden Retrievers and other golden-hearted retrievers along with a full array of adoptive and educational support. 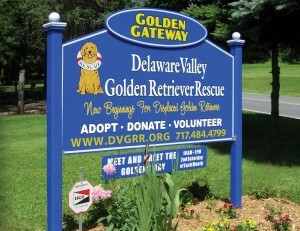 Since 1993, Delaware Valley Golden Retriever Rescue has successfully placed over 5,000 Golden Retrievers and other DVGRR dogs into new homes throughout Eastern Pennsylvania, Delaware, Maryland, New Jersey and beyond. We are a 501(c)(3) non-profit organization relying on donations, our supporters, fundraising, and the proceeds of our events and online and on-site retail store, Pap’s Place, for funding. 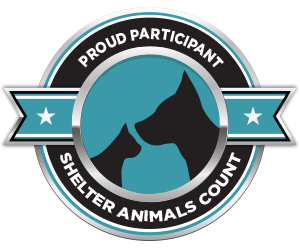 DVGRR has been recognized for our innovative work in rescuing and rehabilitating puppy mill breeder dogs. The Project Home Life program, implemented in 2009, works with puppy mill survivors to help them transition successfully from the horrors of life in a puppy mill to a normal home life with a loving family. The information contained on DVGRR’s website is provided by the organization for general informational purposes only. None of the information on the website is intended nor should be construed to be legal advice or a legal opinion. While every effort has been made to ensure that the information contained on the website is as accurate as possible, omissions and errors may occur. Also, because of the nature of website development, maintenance, and updating, the information contained on the website may not reflect the most current developments. DVGRR and its contributing authors expressly disclaim all liability to any person with respect to the consequences of any act or omission committed based upon reliance, in whole or in part, on any of the contents of the website.